One of the things I like about living in Los Angeles is the fact that you never really know what you’ll see, what you’ll hear, or even what the weather will be like from Monday to Friday. (Last week, for example, it rained Monday morning when I took my son to school. By Friday, we were experiencing 90 degree temperatures). 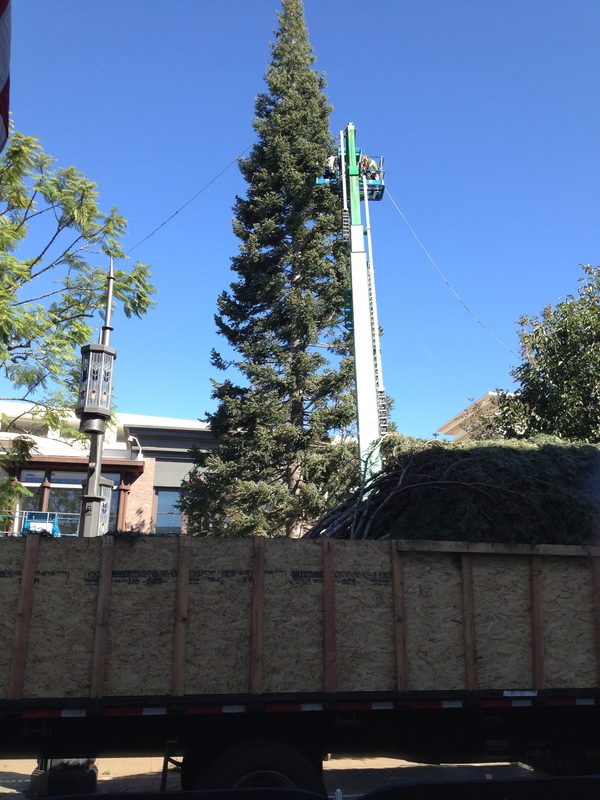 Also last week (more than two full months before the holiday), I saw a Christmas tree being assembled. 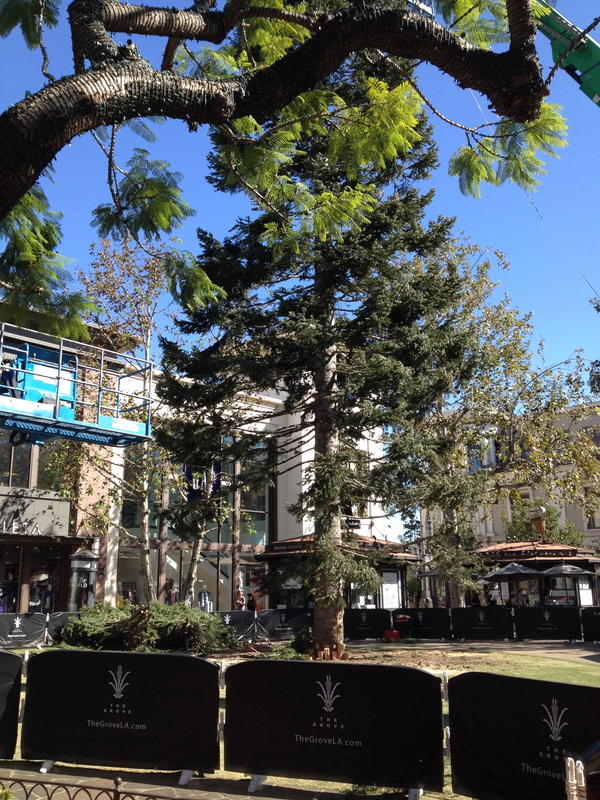 The Grove, a large outdoor shopping center, always has a giant Christmas tree on display for the holiday season. It becomes a whole extravaganza culminating in a tree-lighting ceremony, complete with fireworks. 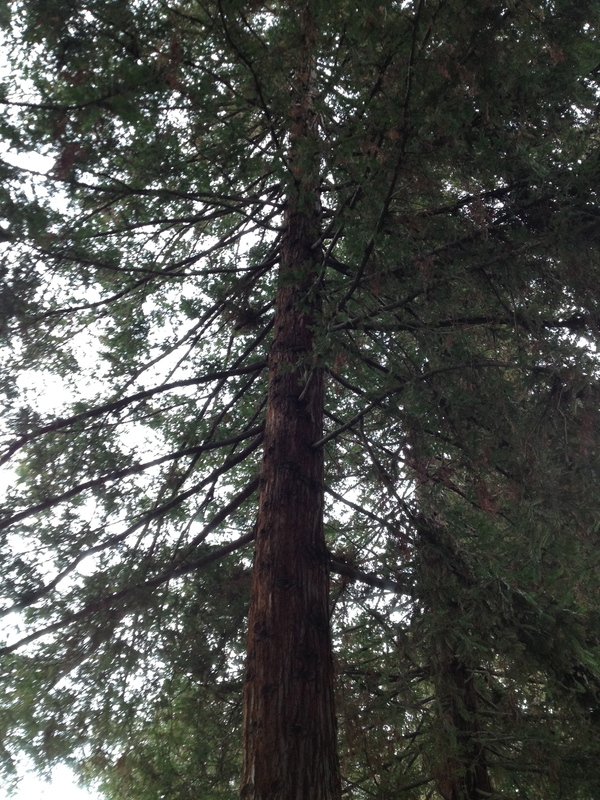 A few days after that tree sighting, our family spent time at a local park where I saw tall, magnificent trees that made me feel as if I was in a forest instead of a city park adjacent to a major thoroughfare. 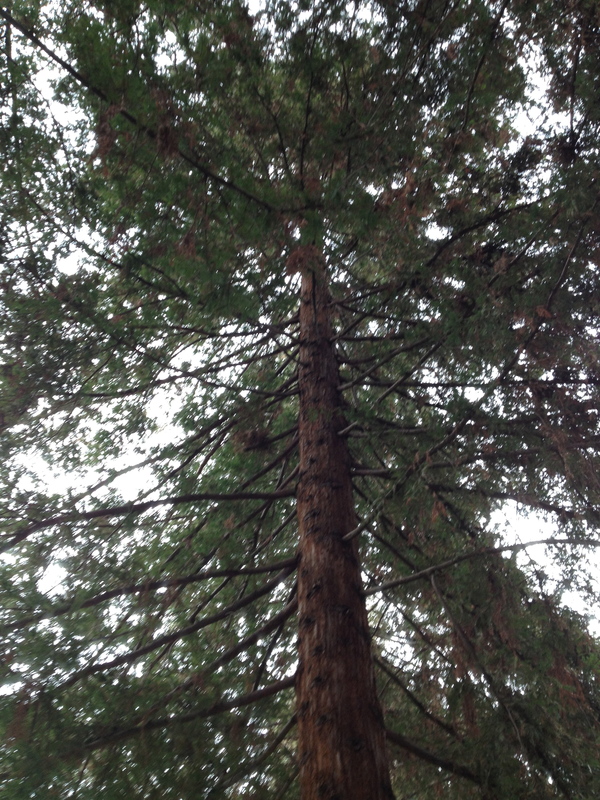 I can’t seem to get these giant trees out of my head. The first one I saw, the Christmas tree, is so “staged,” yet if The Grove didn’t have the tree each year, I’m sure I would feel as if something was missing. The park trees stood strong and proud, and I wondered how long they had been there. I found it reassuring that with all the change that has happened in that neighborhood, these trees were still thriving. I stood under them and strangely enough, felt sheltered and protected. It was a surprising feeling. And hopefully not an “only-in-L.A.” feeling. 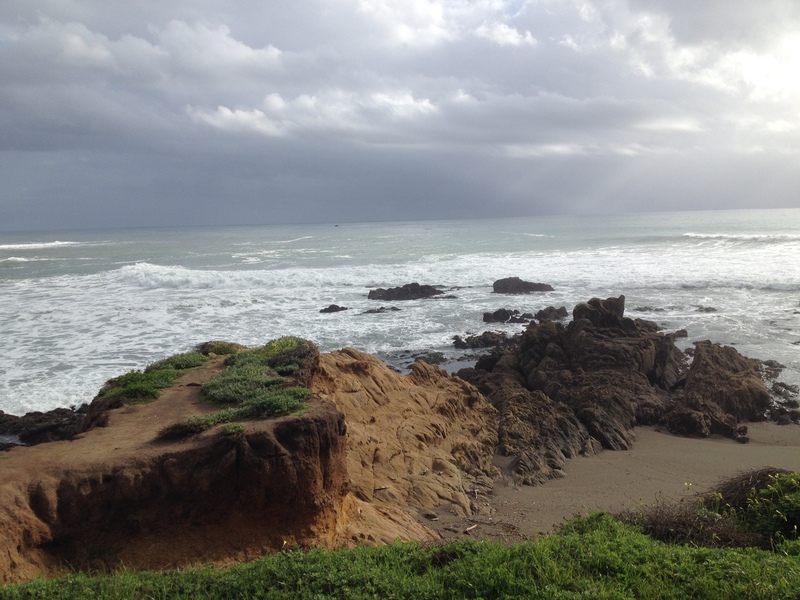 This week, my post is a bit of a rant or complaint. I’m tired of screens. I was in a doctor’s waiting room recently, trying to read my book (and yes, an actual book), trying to keep my nerves at bay. And I was distracted. Distracted by the office phone ringing. Distracted by patients making their follow-up appointments and patients arriving and checking in for their appointments. I was distracted by the pharmaceutical representative who bumped her cart into the side table near where I was sitting. But I was most distracted by the television on the wall. It was on. A performance of some sort was being broadcast. I glanced over once and saw acrobats on the screen. Another time, a woman was singing. But all it did was contribute noise. Which made other people louder because they needed to speak above the sound of the television. I sat in my chair, but what I really wanted to do was get up and turn the darn thing off. When did it become okay for televisions (or screens of any kind) to be on all the time, everywhere? I go to pump gas, and there’s a screen at the pump. I’m not there to find out a basketball score or the weather or watch a commercial for a mortgage company. I’m just there to put gas in the car. Seems to me there’s enough noise out there already. And by noise, I mean audible noise and visual noise. We’re bombarded by billboards and posters and moving images. It’s enough. A little bit of quiet is really okay. Maybe I feel this way because I’m a writer, because I’m a parent, because I was a teacher. Or maybe, we’ve just gotten to the point where it’s too much. Let me know what you think in the comments section. I like the tame version of Halloween — pumpkins, chocolate, and dress up. I don’t like the gruesome version of Halloween — the fake blood, the artificial limbs dangling from trees. And I’ve just never understood the tradition behind children I’ve never met, ringing my doorbell, and expecting me to give them candy. But I put aside my feelings, because I’m a mom. And my son does like Halloween. He thinks it’s fun to dress up in a costume and visit our neighbors and see what treats he gets. Most of the candy, he doesn’t even keep. Last year, we had a big bag we donated to our local fire station. So he’s not in it for the candy. He’s in it for the fun. Which can then make it fun for me. 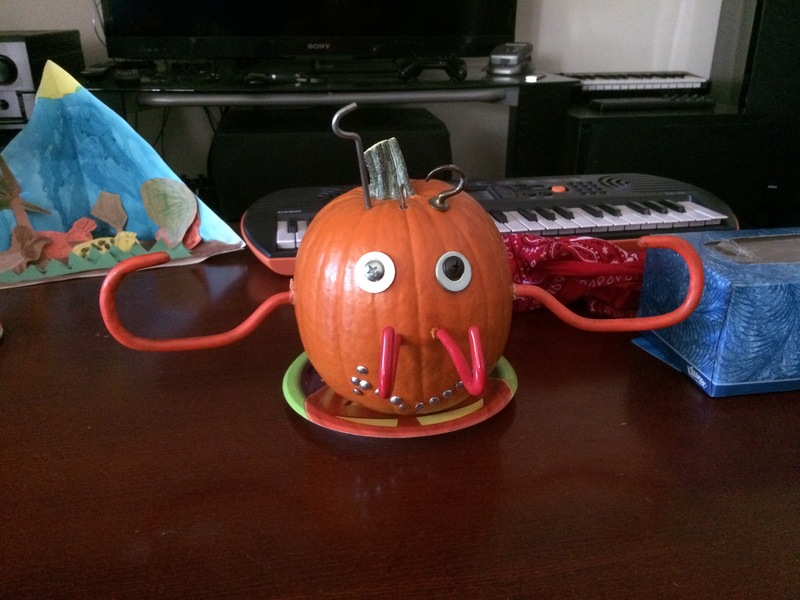 My son named the pumpkin “Melvin” for no apparent reason except that he wanted to name this pumpkin Melvin. And that’s why I like Halloween. I like it when I can experience it through my son’s eyes. When I can see something anew. And that’s really the gift that children give us — a new way of looking at things and experiencing things. 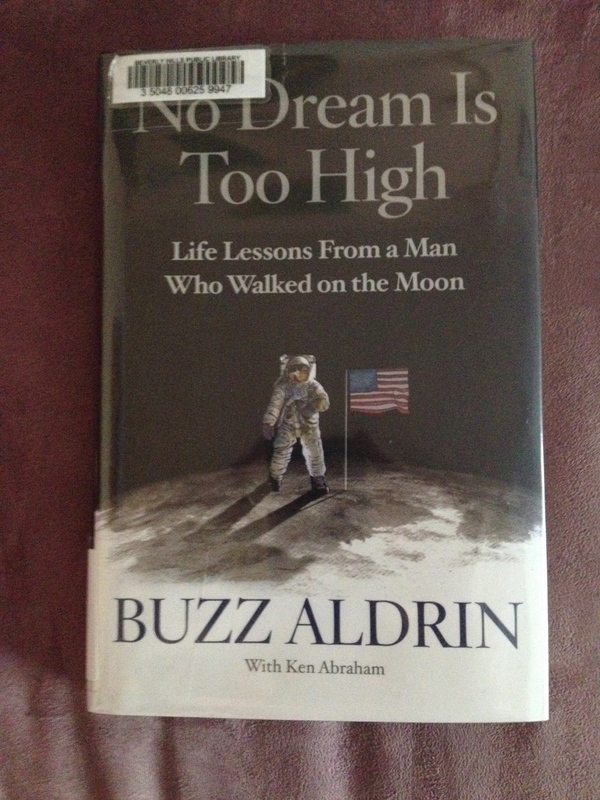 I recently finished reading Buzz Aldrin’s book No Dream Is Too High – Life Lessons From a Man Who Walked on the Moon. I was curious to read it and learn about his insights and his ideas.